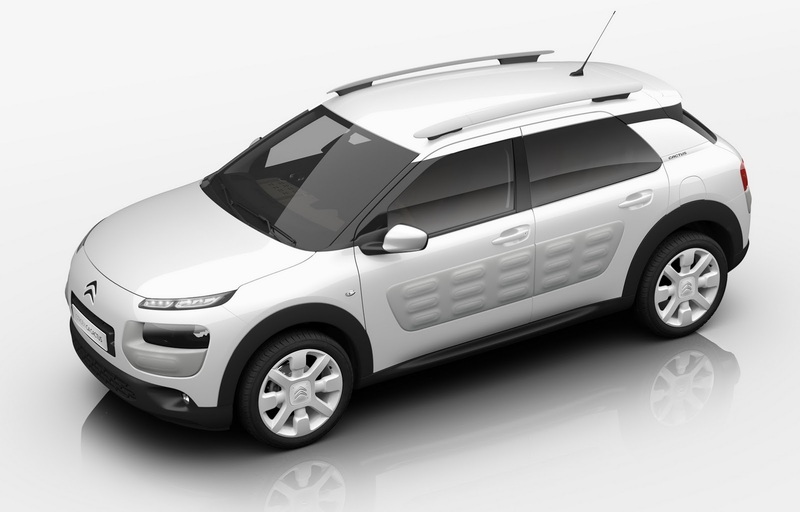 Citroen’s new special edition of the C4 Cactus is set to go on sale in the UK starting with August 1st. 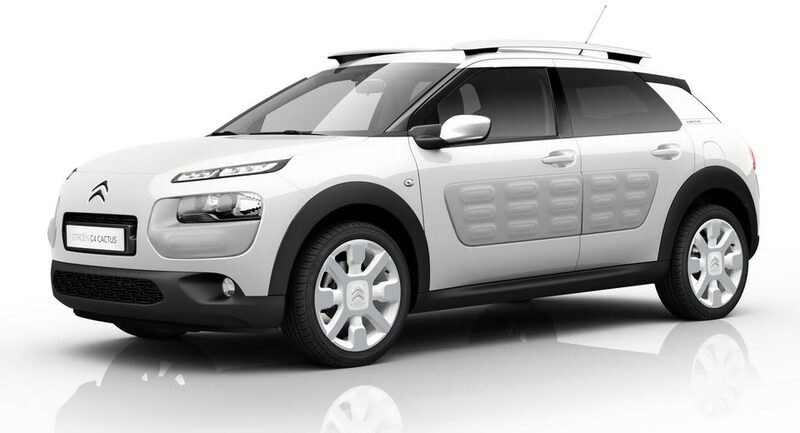 The C4 Cactus W features white door mirrors and roof bars, unique 17″ white ‘Cross’ alloys and a Pearl White body color to go with its Dune colored Airbumps. 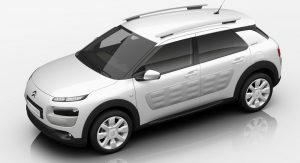 In terms of specs, the car is based on the range-topping Flair trim level, which means that buyers will get dark tinted rear windows, satellite navigation, automatic air conditioning, color reversing camera, split-folding rear seats, plus a space saver spare wheel. 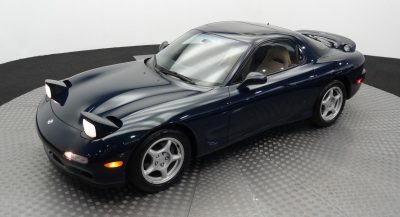 Furthermore, customers can select the optional thermally protective panoramic sunroof for £425 and the black part-leather upholstery for £695. 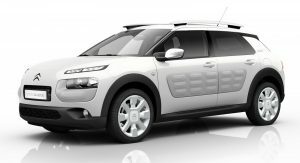 The C4 Cactus W can be ordered with a choice of two engines, a 3-cylinder turbo petrol PureTech 110 PS S&S unit or a Blue HDi 100 PS engine with CO2 emissions of just 95g/km. 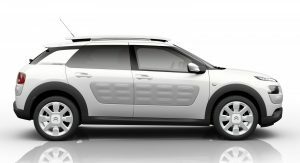 Citroen’s new C4 Cactus W Special Edition is available to order now and set to go on sale at the beginning of next month. 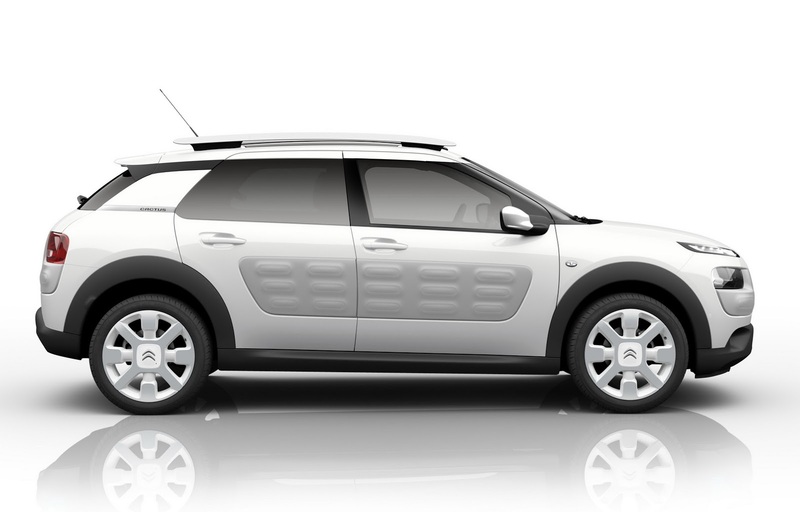 Prices start from £18,890 OTR for the petrol and £19,620 OTR for the HDi diesel model. 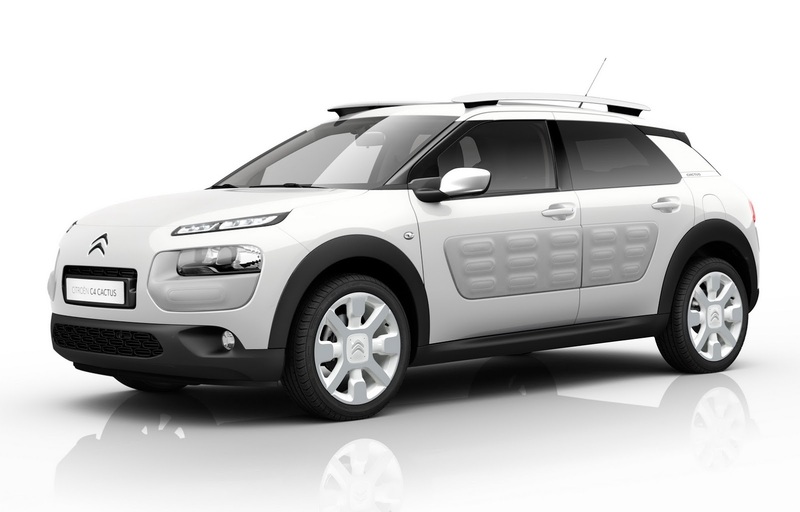 Earlier this year Citroen UK launched another special edition C4 Cactus, the Rip Curl, priced from £18,480.